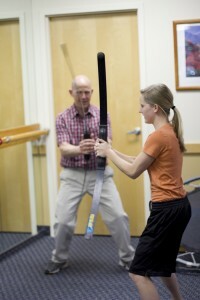 Our mission at Human Performance Institute is to provide the best possible physical therapy treatment to our patients. HPI is conveniently located in American Fork, Utah. Our highly trained staff believe that the plan of care and subsequent treatment of a condition should be based on an in-depth evaluation of the patient. Our treatment goals will be based around your personal goals and desired outcomes. With our advanced techniques and treatment philosophy, we will help to ensure a maximum recovery in the quickest possible time. That is our commitment to you — our patient. Please call us or fill out the form below and we will contact you for an appointment. Copyright © 2019 Human Performance Institute. All rights reserved.